Today was a beautiful comfortable nice day in the city. 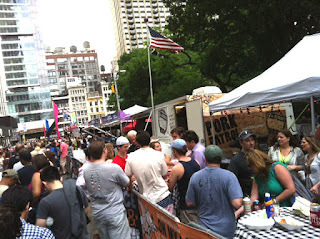 This is why I decided to go to the Big Apple BBQ Annual festival. When I attend this, I make sure I try the barbecue from stores that come from other states especially the ones from the South. Why try the local ones when I can do that anytime because I live here. They now have more tables and chairs to sit on and enjoy your food! Yes, this event is always well attended. My favorite stall is the Checkered Pig from Virginia. They came all the way from south of Virginia near North Carolina. 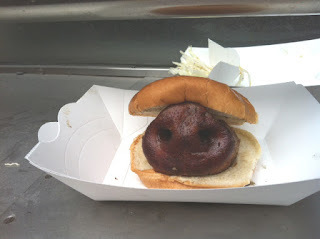 It's smoked tender beef was barbecued perfectly served with a ligh coleslaw. 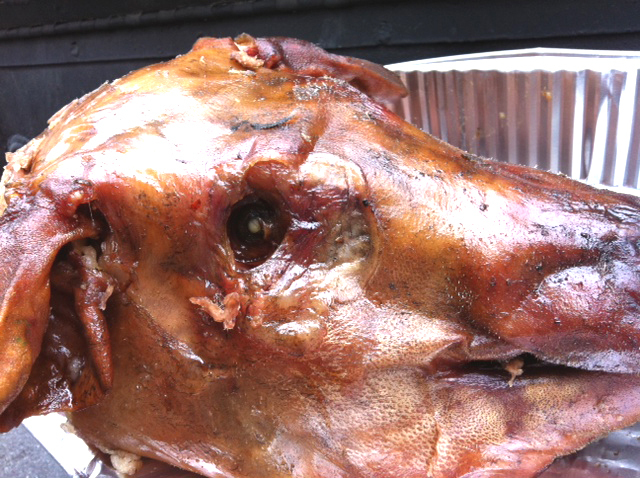 You have to like pork because most of the barbecue served is pork. I happen to like it. On the right, I spotted a roasted head of pig. One of the barbecue I recommend that you shouldn't miss as well is Jim & Nick's from Alabama. He describes what goes into his barbecue. It is out of this world because he serves it with a full bodied and seasoned smokey sausage that he grills over charcoal and serves it with homemade pimento cheese with Jalapeno. Not to forget, the sauces you could add on to it - one spicy hot and the other sweet and tangy. Another thing for you to try - and be prepared for the longest line I've ever seen, is the fried pies from Texas! 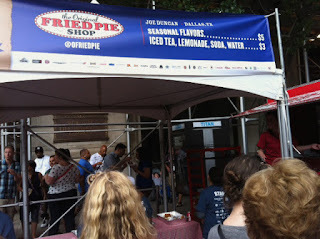 I'm going back tomorrow for the pies (first before the line grows hopefully) and then get more sausage BBQ to take home. 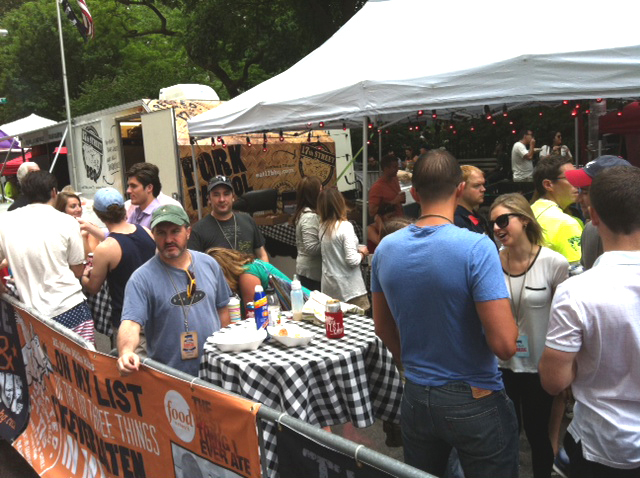 I hope you read this in time to catch the city's Big Apple Barbecue till Sunday.